Safety is an integral concern for any workplace, particularly a high-risk one. Manufacturing floors, warehouses, packing areas, offices etc contain appliances and machines that could possibly malfunction at any time, causing injury or serious workplace related problems. It may be difficult for the company to take every appliance to a testing centre to standardise it and ensure that it is within normal parameters. This is where Portable Appliance Testing comes in. This is an easy way to test appliances and machinery on location by expert independent staff, to ensure that they are safe to use. The law requires that appliance testers are 2377–22 City and Guilds qualified to ensure they do a good job. If you don’t know how to proceed, we recommend you hire one of our professionals. We are well established in the safety/security industry, with many years experience in appliance testing. Read on for a short guide to PAT to show you what can be done. 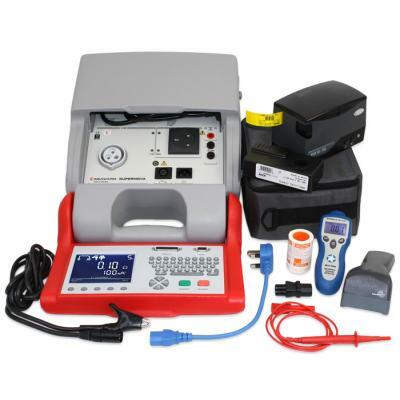 The process of portable appliance testing refers to the periodic checking of any electrical equipment or appliance to ensure they are safe for use. In the past, company personnel tested their own equipment but an in-house testing procedure could be variable and staff might not be experienced enough to test the appliance completely. Staff would also just visually examine the appliances and machines to detect simple defects. However, visual examination is not enough and electrical safety defects are not usually visible to the naked eye. As a result, it has become quite essential to have an independent testing contractor or firm evaluating the functionality and safety of your machines and assessing them for use. To ensure that all companies and workplaces follow this requirement, the Electricity at Work Regulations 1989 was passed. This regulation requires all workplaces to hire an independent contractor to check and verify all electrical equipment, as well as regular maintenance checks on any equipment that could cause injury. The exact type of maintenance and frequency is not specified but workplaces are encouraged to follow regular maintenance procedures. Private houses are not bound by this law but householders who have rented out their property are. Testing is recommended when employees have to handle electrical appliances on a day-to-day basis, when customers have to use the same appliance regularly, when electrical goods are sold or hired for temporary use and when appliances are repaired and set up for worker use. The exact process of testing is quite varied. However, the basic principle for all electrical appliances is that it should offer two levels of protection - earthing and insulation. Electrical appliances are tested visually and through several testing procedures to ensure that they are functioning effectively and are completely safe. • User checks before use, like visually inspecting the appliance for visual damage like frayed power cables, cracked plugs, etc should be recorded and reported to a supervisor for immediate repair. • Formal visual inspections by approved store staff can catch many defects in the appliances. • Combined inspections and PAT testing can be done periodically to ensure that the appliance is up to code. Our professionals can do this, noting the date of inspection on each tested appliance and on office records for the company. A planned regime of testing is recommended particularly if you or your workers use the appliances regularly. The tested appliance should be checked and the date noted on the device. In case retesting is required, the equipment should not be used until retesting is complete. Ideally, the tester or inspector will determine the frequency of testing depending on the nature of use, frequency of use and the working environment. Although an in-office staff member can do the electrical machine testing, it is a far better idea to hire an independent testing agency to do the job. At Derby Firelec, our inspectors are trained in every aspect of Portable Appliance Testing and qualified to test and approve every appliance for use.